Are Female Guitarists Scrutinized More Than Their Male Counterparts? - Welcome To All That Shreds Magazine! Are Female Guitarists Scrutinized More Than Their Male Counterparts? A guitar has been one of the instruments that make music sound great. However, these tunes depend on who is playing it. There has been a huge stereotype that guitarist has to be males. To a big point of analysis of what has been happening, this can be said to be plain truth. In the recent past, the saying of “what a man can do a woman can do better” has been put into reality. Ladies have been seen to be in a revolution of taking up the roles that the general society referred to as male-oriented. Guitar playing has not been one of them. However, this has been coming in a handful of challenges. The artists among you who visit YouTube would have most likely experienced channels and recordings of young ladies playing guitar. If you look down the remark areas of these recordings, you will see a considerable measure of indecent references to their looks, the most pleasant of which would read “wed me” and much more. Individuals post recordings of themselves on Youtube for approval of their abilities. When other females who were already feeling persuaded meets this, they end up holding back since they would never wish to get themselves in such situations. When it comes to matters performance in clubs and such entertainment halls, you may get a considerable multitude not coming to enjoy the music but to have a look at a lady guitarist. In cases where long and risky performances, women are known to be the most vulnerable. They fear the unknown that may happen. Indeed, even at school the part of the gang persona related with young ladies who play guitar prompts them getting extreme thankfulness for their abilities. Then it is like how young ladies who claim to be such a nerd. Then again, the most mainstream male clients on Youtube are practically immaculate. This still leaves the big names and innovative virtuosos, about every one of whom is male. Lita Ford broke the barrier for most female guitarists today. In my interview with Lita, she said she endured horrific treatment from others. We’re lucky enough today to have super talented, influential, creative women guitarists that don’t have to deal with what Lita Ford did some 30 years ago. 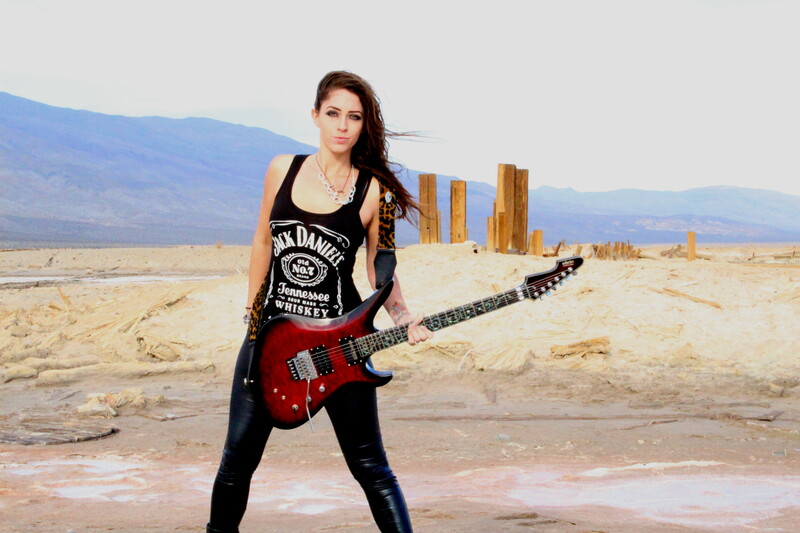 Guitarists like Gretchen Menn, Courtney Cox, Nikki Stringfield, Ori, Jennifer Batten, Nita Strauss among others are better players than a lot of men. All said and done; I believe guitar playing is more of a matter of passion than any learning. An individual only needs to be self-motivated to try it out. The female guitarists of today are phenomenal.